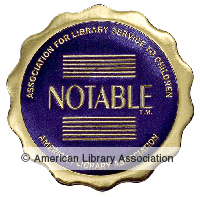 The ALSC Notable Children’s Books committee is charged with identifying the best of the best in children’s books. According to the Notables Criteria, “notable” is defined as: Worthy of note or notice, important, distinguished, outstanding. As applied to children’s books, notable should be thought to include books of especially commendable quality, books that exhibit venturesome creativity, and books of fiction, information, poetry and pictures for all age levels (through age 14) that reflect and encourage children’s interests in exemplary ways. Here is the complete list of 65 titles which will be discussed at the ALA Annual Meetings in New Orleans beginning next week. Enjoy! Baby Monkey Private Eye. By Brian Selznick and David Serlin. Illus. by Brian Selznick. Scholastic Press, $16.99 (9781338180619). Betty Before X. By Ilyasah Shabazz and Renée Watson. Macmillan/Farrar Straus Giroux Books for Young Readers, $16.99 (978-0374306106). The Book of Boy. By Catherine Gilbert Murdock. HarperCollins/Greenwillow Books, $16.99 (9780062686206). Endling: The Last. By Katherine Applegate. HarperCollins/Harper, $17.99 (9780062335524). Escape From Aleppo. By N. H. Senzai. Simon & Schuster/Paula Wiseman Books, $16.99 (9781481472173). Ghost Boys. By Jewell Parker Rhodes. Little, Brown Books for Young Readers, $16.99 (9780316262286). Hurricane Child. By Kheryn Callender. Scholastic, $17.99 (9781338129304). Ivy Aberdeen’s Letter to the World. By Ashley Herring Blake. Little, Brown Books for Young Readers, $16.99 (9780316515467). Journey of Little Charlie. By Christopher Paul Curtis. Scholastic, $16.99 (9780545156660). Just Like Jackie. By Lindsey Stoddard. HarperCollins/Harper, $16.99 (9780062652911). The Mad Wolf’s Daughter. By Diane Magras. Kathy Dawson Books, $16.99 (9780735229266). The Night Diary. By Veera Hiranandani. Dial Books, $16.99 (9780735228511). The Parker Inheritance. By Varian Johnson. Scholastic/Arthur A. Levine Books, $16.99 (9780545946179). The Prince and the Dressmaker. By Jen Wang. Roaring Brook Press/First Second, $24.99 (9781250159854). A Sky Full of Stars. By Linda Williams Jackson. HMH Books for Young Readers, $16.99 (9780544800656). Snow Lane. By Josie Angelini. Macmillan/Feiwel and Friends, $16.99 (9781250150929). Stella Díaz Has Something to Say. By Angela Dominguez. Roaring Brook Press/Holtzbrinck, $16.99 (9781626728585). Sunny. By Jason Reynolds. Simon & Schuster/Atheneum/Caitlyn Dlouhy Books, $16.99 (9781481450218). The Truth as Told By Mason Buttle. By Leslie Connor. HarperCollins/Katherine Tegen Books, $16.99 (9780062491435). You Go First. By Erin Entrada Kelly. HarperCollins/Greenwillow Books, $16.99 (9780062414182). All That Trash: The Story of the 1987 Garbage Barge and Our Problem with Stuff. By Meghan McCarthy. Illus. by the author. Simon & Schuster/Paula Wiseman Books, $17.99 (9781481477529). Between the Lines: How Ernie Barnes Went from the Football Field to the Art Gallery. By Sandra Neil Wallace. Illus. by Bryan Collier. Simon & Schuster/Paula Wiseman Books, $17.99 (9781481443876). Boots on the Ground: America’s War in Vietnam. By Elizabeth Partridge. Viking Books for Young Readers, $22.99 (9780670785063). The Brilliant Deep: Rebuilding the World’s Coral Reefs: the Story of Ken Nedimyer and the Coral Restoration Foundation By Kate Messner. Illus. by Matthew Forsythe. Chronicle Books, $17.99 (9781452133508). Champion: The Comeback Tale of the American Chestnut Tree. By Sally M. Walker. Henry Holt and Co., $17.99 (9781250125231). Chasing King’s Killer: The Hunt for Martin Luther King Jr.’s Assassin. By James L. Swanson. Scholastic, $19.99 (9780545723336). Facing Frederick: The Life of Frederick Douglass, a Monumental American Man. By Tonya Bolden. Abrams/Abrams Books for Young Readers, $19.99 (9781419725463). Girl Running: Bobbi Gibb and the Boston Marathon. By Annette Bay Pimentel. Illus. by Micha Archer. Nancy Paulsen Books, $17.99 (9781101996683). The Girl Who Drew Butterflies: How Maria Merian’s Art Changed Science. By Joyce Sidman. HMH Books for Young Readers, $17.99 (9780544717138). Libba: The Magnificent Musical Life of Elizabeth Cotten. By Laura Veirs. Illus. by Tatyana Fazlalizadeh. Chronicle Books, $17.99 (9781452148571). Library on Wheels: Mary Lemist Titcomb and America’s First Bookmobile. By Sharlee Glenn. Abrams/Abrams Books for Young Readers, $18.99 (9781419728754). Rosa’s Animals: The Story of Rosa Bonheur and Her Painting Menagerie. By Maryann Macdonald. Abrams/Abrams Books for Young Readers, $21.99 (9781419728501). The Secret Kingdom: Nek Chand, a Changing India, and a Hidden World of Art. By Barb Rosenstock. Illus. by Claire A. Nivola. Candlewick Press, $16.99 (9780763674755). Streetcar to Justice: How Elizabeth Jennings Won the Right to Ride in New York. By Amy Hill Hearth. HarperCollins/Greenwillow Books, $19.99 (9780062673602). The United States v. Jackie Robinson. By Sudipta Bardhan-Quallen. Illus. by R. Gregory Christie. HarperCollins/Balzer + Bray, $17.99 (9780062287847). Be Kind. By Pat Zietlow Miller. Illus. by Jen Hill. Roaring Brook Press, $17.99 (9781626723214). Bird Builds a Nest: A First Science Storybook. By Martin Jenkins. Illus. by Richard Jones. Candlewick Press, $16.99 (9780763693466). Down By the River: A Family Fly Fishing Story. By Andrew Weiner. Illus. by April Chu. Abrams/Abrams Books for Young Readers, $17.99 (9781419722936). Grace for Gus. By Harry Bliss. Illus. by the author. HarperCollins/Katherine Tegen Books, $17.99 (9780062644107). Hello Hello. By Brendan Wenzel. Illus. by the author. Chronicle Books, $17.99 (9781452150147). Hello Lighthouse. By Sophie Blackall. Illus. by the author. Little, Brown Books for Young Readers, $18.99 (9780316362382). Islandborn. By Junot Díaz. Illus. by Leo Espinosa. Dial Books, $17.99 (9780735229860). Julián is a Mermaid. By Jessica Love. Illus. by the author. Candlewick, $16.99 (9780763690458). Kate, Who Tamed the Wind. By Liz Garton Scanlon. Illus. by Lee White. Penguin Random House/Schwartz & Wade, $17.99 (9781101934791). Let the Children March. By Monica Clark-Robinson. Illus. by Frank Morrison. HMH Books for Young Readers, $17.99 (9780544704527). Little Mouse’s Big Breakfast. By Christine Pym. Illus. by the author. Candlewick Press/Nosy Crow, $15.99 (9780763696269). The Little Red Fort. By Brenda Maier. Illus. by Sonia Sanchez. Scholastic, $17.99 (9780545859196). Llamaphones. By Janik Coat. Illus. by the author. Abrams/Abrams Appleseed, $15.99 (9781419728273). Mabel and Sam at Home. By Linda Urban. Illus. by Hadley Hooper. Chronicle Books, $17.99 (9781452139968). Mommy’s Khimar. By Jamilah Thompkins-Bigelow. Illus. by Ebony Glenn. Simon & Schuster/Salaam Reads, $17.99 (9781534400597). Ocean Meets Sky. By Terry Fan and Eric Fan. Illus. by the authors. Simon & Schuster/Simon & Schuster Books for Young Readers, $17.99 (9781481470377). The Party and Other Stories. By Sergio Ruzzier. Illus. by the author. Chronicle Books, $14.99 (9781452152882). The Rabbit Listened. By Cori Doerrfeld. Illus. by the author. Dial Books, $17.99 (9780735229358). Rabbit Moon. By Jean Kim. Illus. by the author. Scholastic/Arthur A. Levine Books, $17.99 (9781338036398). Saffron Ice Cream. By Rashin Kheiriyeh. Illus. by the author. Scholastic, $17.99 (9781338150520). They Say Blue. By Jillian Tamaki. Illus. by the author. Abrams/Abrams Books for Young Readers, $17.99 (9781419728518). Welcome to Country: A Traditional Aboriginal Ceremony. By Aunty Joy Murphy. Illus. by Lisa Kennedy. Candlewick Press, $16.99 (9780763694999). While You Are Sleeping. By Mariana Ruiz Johnson. Illus. by the author. Chronicle Books, $16.99 (9781452165998). Yellow Kayak. By Nina Laden. Illus. by Melissa Castrillon. Simon & Schuster/Paula Wiseman Books, $17.99 (9781534401945). Can I Touch Your Hair? Poems of Race, Mistakes, and Friendship. By Irene Latham and Charles Waters. Illus. by Sean Qualls and Selina Alko. Lerner/Carolrhoda Books, $17.99 (9781512404425). The Field. By Baptiste Paul. Illus. by Jacqueline Alcántara. NorthSouth Books, $17.95 (9780735843127). For Every One. By Jason Reynolds. Simon & Schuster/Atheneum/Caitlyn Dlouhy Books, $14.99 (9781481486248). Martin Rising: Requiem for a King. By Andrea Davis Pinkney. Illus. by Brian Pinkney. Scholastic, $19.99 (9780545702539). Shaking Things Up: 14 Young Women Who Changed the World. By Susan Hood. Illus. by Sophie Blackall, Emily Winfield Martin, and others. HarperCollins/Harper, $18.99 (9780062699459). Siege: How General Washington Kicked the British Out of Boston and Launched a Revolution. By Roxane Orgill. Candlewick Press, $17.99 (9780763688516). World Make Way: New Poems Inspired by Art from The Metropolitan Museum of Art. Edited by Lee Bennett Hopkins. Abrams/Abrams Books for Young Readers, $16.99 (9781419728457). Maeve Knoth, chair, and the entire 2019 Notable Children’s Books Selection Committee invite you to listen to their discussions; these meetings are open to all registered conference attendees.